A good friend of mine travelled to Tokyo in January, and asked if I wanted anything. “Oh, some nice traditional kimono print fabric would be nice if you see any”, I said. 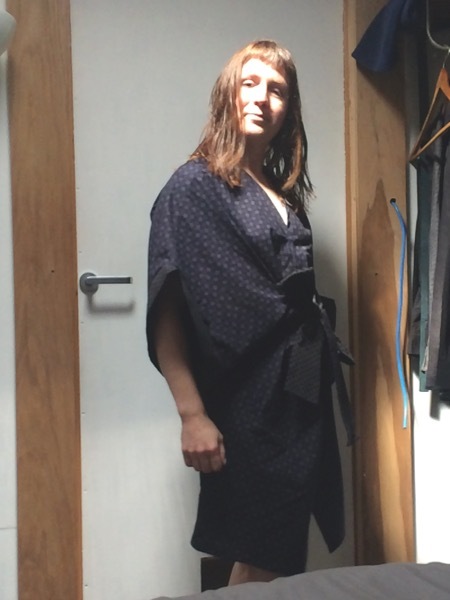 Well, he ended up going to Nippori Fabric Town one day and fell hard for Tomato (I might also add here that he owns a vintage Bernina sewing machine!). I ended up with a massive stack of cotton prints as well as some lovely wool tweed, too. 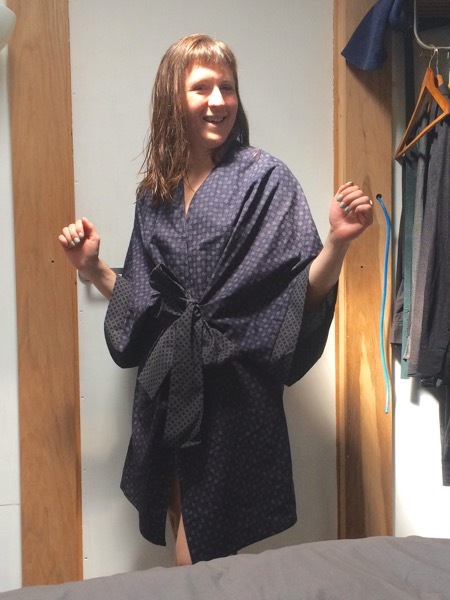 The instant Seamwork released their Almada robe pattern I just knew I was destined to make it, and to use these Japanese cottons to make a very non-traditionally shaped robe with those very traditional of prints! This robe is very loose, but I still stuck to the sizing suggestions and made size M but with the length of 3XL as it looked to be scandalously short on the model (it is!). 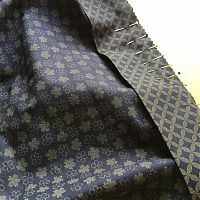 I was able to cut the Back on the fold since my fabric was just wide enough, which meant I could eliminate the CB seam. Otherwise I just kept the seam allowances pinked and pressed open, nice and simple. 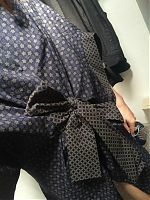 I pretty much kept to the pattern instructions, but I added a hanging loop to the back neckline so I can hang it more easily by the bedside. The instructions call for a snap on the neckline but I added an extra snap to the thigh for “modesty” but will definitely be adding another! Still very short and rides up much higher when I raise my arms. So this is a robe only meant for either wearing over pyjamas, or, well, “in private”! 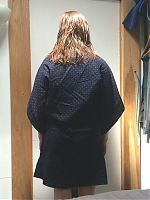 I used the floral Japanese print for the main body of the robe, and the complimentary diamond print for the sleeve cuffs and ties. 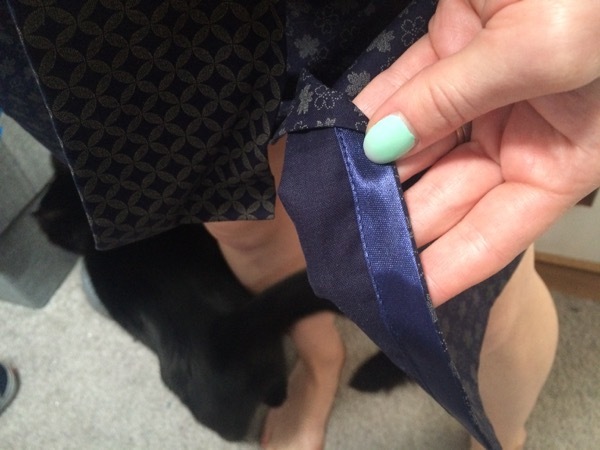 I suppose I could’ve incorporated the diamond print a bit more by creating a hem band around the bottom, which would also add some length, too. The pattern instructions have you finish the neckline edge using purchased bias tape. 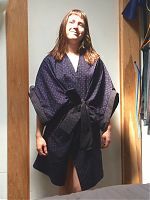 I hardly ever use the stuff as I find it quite stiff and poor quality most of the time (I usually opt to make my own from scrap fabric), but I found some navy satin bias binding and was pleasantly surprised with the way it turned out here – a touch of shiny in an otherwise cotton robe. 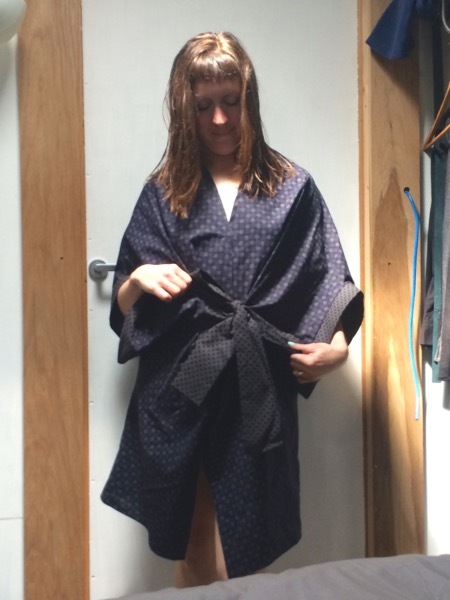 The end result – I looooove this robe, so glad I made it! It was super quick to make and I feel great wearing it, too. 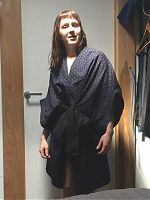 Oh, and Seamwork have a new referral scheme now, so if you’re not already a Seamwork subscriber, you can use my referral link here to get half off your first month – so for $3 you can download this Almada pattern and one other of your choosing, which is an excellent deal if you ask me! 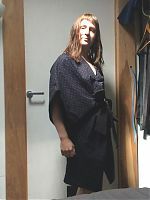 Edit: There was some confusion with the referral link not showing the discount on the Seamwork payment page, but I’m told that you will only be charged half for your first month, and that this has been more clearly marked now! Separator image Posted in Gallery and tagged with cotton, lingerie, seamwork.